During the period of 22 July to 01 August this year I attended a summer course at Michigan State University (MSU) about Quantitative Microbial Risk Assessment. This course was an important experience that provided tools and knowledge to implement AMRA into my PhD research. It also served as a network platform within QMRA researchers community group. Throughout that week I attended lectures and learned how to develop case studies. 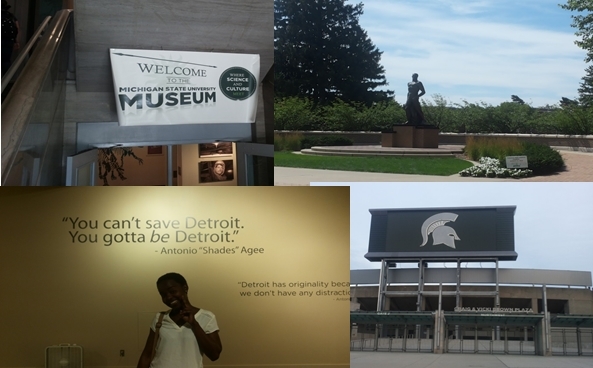 The course was very intense but I was still able to get around East Lansing visiting the MSU Campus and the University Museum.